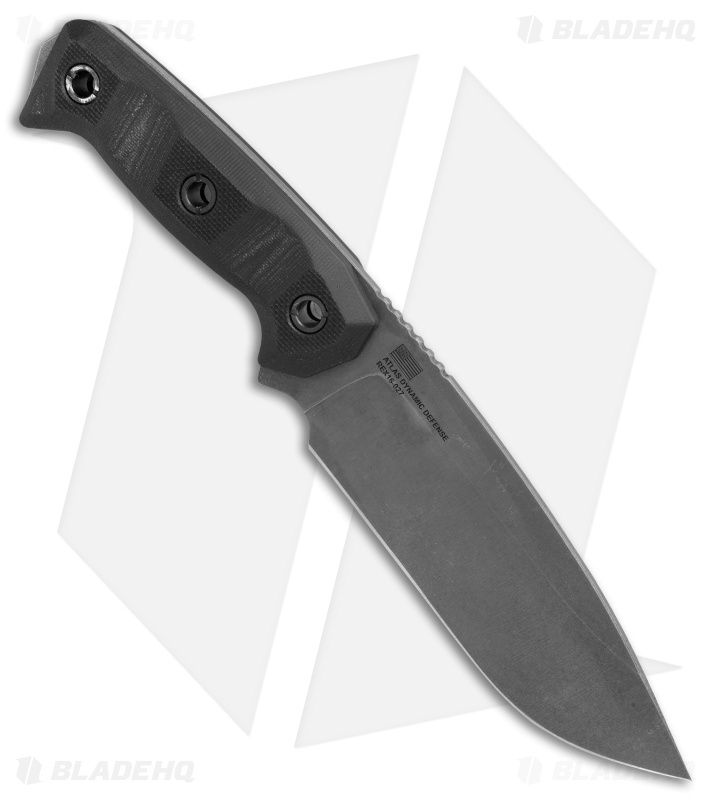 This Harbinger Rex model is outfitted with a black G-10 handle and an acid stonewashed CPM-S30V steel blade. When size matters, the Harbinger Rex from Atlas Dynamic Defense steps up to tackle your toughest jobs. It offers the proven design of the Harbinger in a larger platform, all while staying proportional, well balanced, and highly functional. The substantial G-10 handle is contoured for a high performance grip with ergonomic comfort. It has an extended full-tang design with a striker for defense applications. The blade is made from CPM-S30V steel with a flat grind and jimping along the thumb rest. 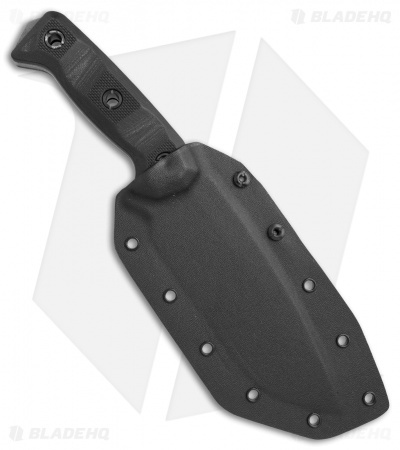 Item includes a Kydex sheath with a Tek-Lok attachment for secure carry. Deep-cryo treated S30V steel provides a strong blade with unstoppable edge retention. Beefy G-10 scales offer a heavy duty grip with finger contouring for comfort in hand. 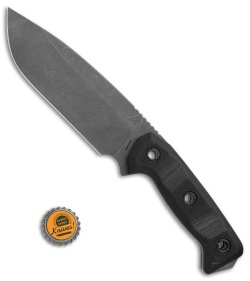 Item comes equipped with a fitted Kydex sheath and a versatile Tek-Lok attachment.